As data starts to trickle in for the iPhone 7’s launch, the iPhone 7 Plus and its dual-camera system seem to be swaying buyers away from its smaller counterpart. If true, this would be the first time the larger, phablet-sized phone outsold the smaller version. If, it’s true. For now, all of the data comes from market research firms, and Apple has been rather tight-lipped about its initial sales numbers. Data from Slice Intelligence, however, seems to suggest that after a 65 percent/35 percent split during the iPhone 6 launch, the gap narrowed after Apple released the iPhone 6s/6s Plus last year (59/41, respectively). 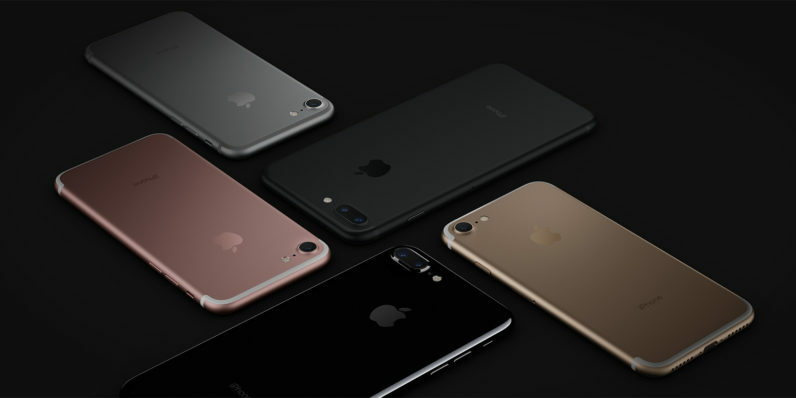 The iPhone 7 seems to reversed the gap. Based on data of units sold during the first 48 hours of pre-orders, Slice reports the larger Plus model has outsold the smaller version 55 percent to 45 percent. Unsurprisingly, the same data shows the two most popular color choices have been black and jet black, replacing the now-dead space grey. Nearly 56 percent of those that preordered the iPhone 7 or 7 Plus were previous Apple device owners. Take it with a grain of salt though; the data isn’t at all comprehensive. Slice based its data sample on approximately four million US consumers that opted in to its services or apps — such as the shopper’s assistant — as well as partners who license its technologies. The data collected via its apps, or sniffing through email inboxes for receipts, is how Slice finds the information used in its estimates. For what it’s worth, it could be the most accurate information we’ll get. Apple, historically, hasn’t disclosed sales between iPhone models when revealing overall sales numbers.